You know how much I've been making little girl's clothes lately! And Sarah Jane's Out to Sea line has been so inspiring for me!! I am so smitten with it! 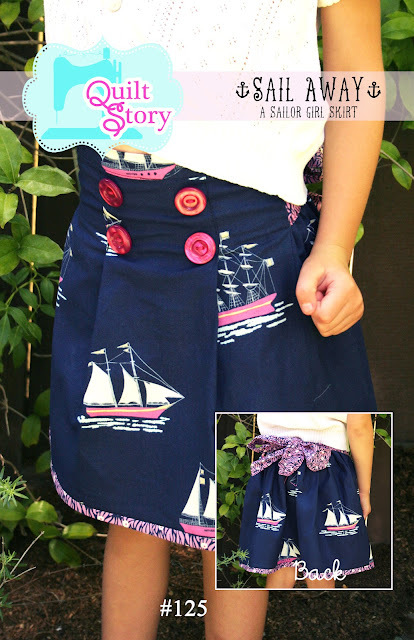 And thus our first skirt pattern, Sail Away Skirt. Sizes 6-12 months through 5T. 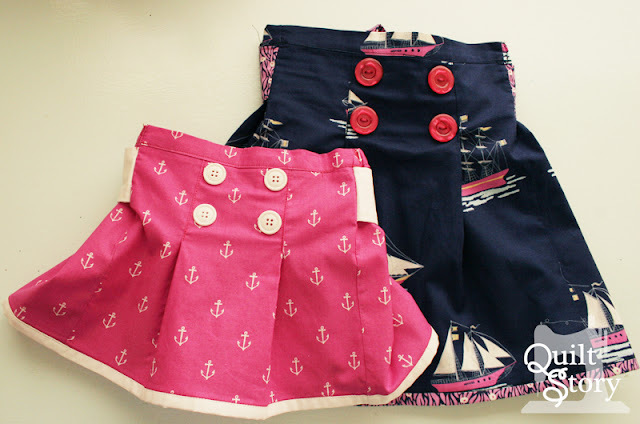 The little pink anchors skirt is 6-12 months and the navy ships is a 4T. I seriously cannot wait to put that little pink one on my baby girl! 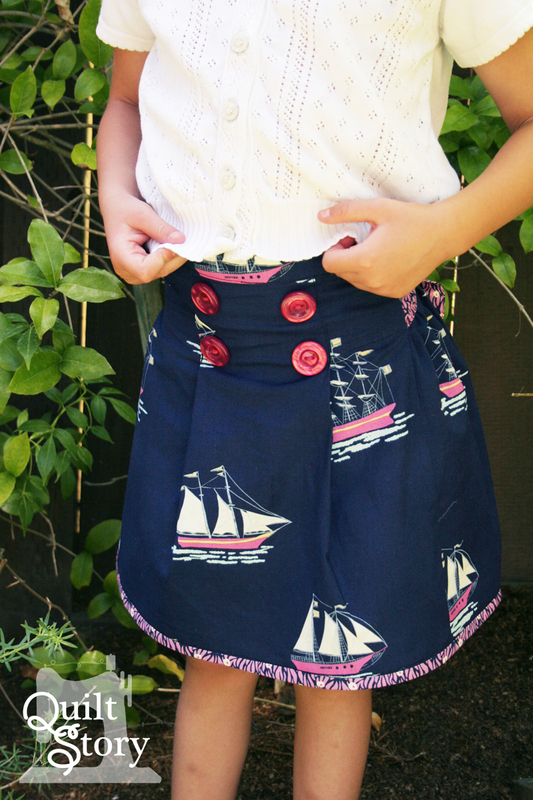 The front has the sweet sailor pleats and buttons and the back is gathered with a cute little tie. Hope you like it!! This pattern is available in our shop! Here are some of our great sponsors that are or will be carrying this precious Out to Sea fabric line! so adorable! what a happy little skirt! so cute would love to have a girl just for making those kind of beautiful clothes! 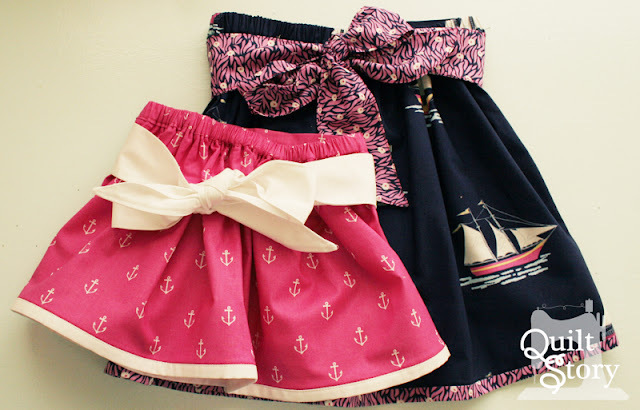 Very cute skirts!! They remind me of the coachman skirts I wore when I was in high school back in the 60's.